Clean away annoying carpet stains, lift away in-ground dirt and help manage allergy symptoms for a healthier home with our eco-friendly clean. Give your sofa a new lease of life or revive an old favourite with a deep-down freshening, caring and eco-friendly clean. We promise you a 100% satisfaction guarantee on your clean for carpets, rugs, fabric and leather upholstery, curtains and mattresses in Southampton, Eastleigh, Chandlers Ford, Romsey, Cadnam, Marchwood, Hythe, Totton, Hedge End, West End, Fair Oak, New Forest, Bishops Waltham, Botley, Wickham, Park Gate, Warsash , Chilworth, Nursling, Rownhams, Whiteley, Titchfield, Ashurst, Lyndhurst, Brockenhurst, Lymington and Burley. Get in touch for your free carpet and upholstery cleaning quotation today. 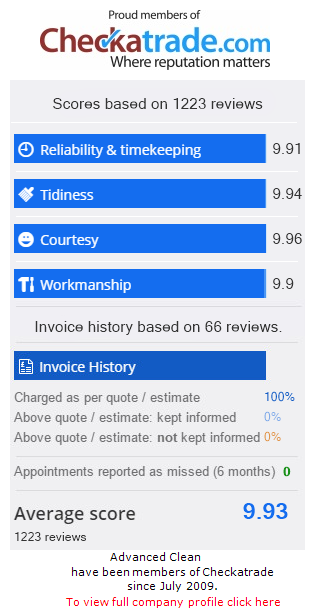 We can give indicative costs over the phone, but it's best to organise a free home visit so we can discuss with you the most appropriate cleaning approach and give the most accurate cost. Your quote is no obligation. Give us a call to get started. This is how we promise to deliver you the best possible cleaning service, superb results and excellent customer service. Because we can live up to all of our service promises, we are able to give you a no quibble 100% satisfaction guarantee. This means if we don’t do what we say we will, we’ll return to put it right. If we can’t then your clean is free. Are your carpets, rugs, sofa, leather suite, mattresses or fabric upholstery dirty and stained? Is the in-ground dirt and the grime getting on your nerves and making your home look bad? Do you wish they could be like new again? Well, if you live in Southampton, Eastleigh, Chandlers Ford, Romsey, Cadnam, Marchwood, Hythe, Totton, Hedge End, West End, Fair Oak, New Forest, Bishops Waltham, Botley, Wickham, Park Gate, Warsash , Chilworth, Nursling, Rownhams, Whiteley, Titchfield, Ashurst, Lyndhurst, Lymington or Burley, we can help. We're confident that you'll love the result of our deep professional clean. It'll lift stains clean away and obliterate stubborn dirt and grime. It'll revitalise your carpets and upholstery leaving them fresh, hygienic and clean, and you wishing you'd called us sooner. Our clean can also help allergy sufferers in your home and guard against stains between cleans to prolong the life of your carpets and upholstery. We're also members of the National Carpet Cleaner's Association (NCCA) and meet the high standards they demand, so you can be assured of our professionalism and service. Customers have been loving our professional clean in and around the Southampton area since 2008. We hope you will too. So get in touch for your free no obligation professional cleaning quotation today. Turned up at exact time quoted,explained how job would be carried out and completed job in a very professional manner. Very polite and tidy all through. Whole job took 3 hours which was the approx time quoted. Would not hesitate to recommend to friends and family. Excellent and efficient highly recommend.